Luke Krahe race reviews, blackbookers and race notes from Saturday's Sydney metro meeting at Warwick Farm. Race 1: Darley Lonhro PLate 2YO 1100m. Notes: Although the track had taken a beating yesterday and overnight with the rain and was officially a Heavy 8 to start the programme, it didn’t stop them from backing the undefeated Time For War colt Time To Reign. In the small field of six he started deep in the red, Tim Clark got him out of the barriers well but was posted three-wide outside the speed in the small field. When they turned for home, he looked to travel well but found very little in the straight as they all stayed well away from the fence. BIVOUAC (1st) sat behind the speed and when he peeled four-wide at the top of the straight you could see he was travelling better and he ran on well to score comfortably. COSMIC FORCE (2nd) had the sit on the winner but wasn’t able to run him down whilst STEEL DIAMOND (3rd) ran on ok from last in the small field to knock the favourite out of the placings. Don’t sack the shortie yet as the track may be playing a little tricky. Race 2: TAB Highway Handicap Class 3 1200m. NOBLE BOY (1st) was undefeated coming into this with three wins from three starts, including a last start Highway Class 2 win at Rosehill before going to the paddock. He resumed today up to the Class 3 Highway and started flip of the coin odds, was poorly away, sat last, came five and six wide and cantered past them when Bowman said go. He put them away in a few strides and made it four wins from as many starts. He will be a big player in the upcoming Country Championships no doubt. He was the star of the show today. Race 3: BM94 Handicap 1000m. Notes: Only a small field but it was a competitive affair. BADAJOZ (1st) was beautifully ridden by Berry, he had the gelding in behind the leaders before angling clear and running on well. He didn’t show a lot of acceleration but that may have been the track, he kept going well especially when challenged late by the stablemate. MALAHAT (2nd) was behind the stablemate in the run and was forced to come very wide, he ranged up alongside the winner in the run home but was just a little hesitant to run past him. AKASAKI (3rd) was the unlucky runner of the race, he was blocked at the top of the straight inside the winner, held-up he was waiting for runs whilst the wayward LATIN BOY (unplaced) in front of him was all over the shop. When he finally got the run, he powered home late and is the horse to follow out of the race. He should have won. SINGLE BULLET (unplaced) ranged up after a wide run, not that that seemed to be a real disadvantage today, but didn’t finish it off. SHE KNOWS (unplaced) had a soft run but went back to the inside in the straight, she was a victim of the gate and that wasn’t the place to be. Race 4: Eskimo Prince Stakes 3YO 1200m. Notes: SANDBAR (unplaced) started in the red in the small six-horse field. He was first up today, jumped well but did over-race a little early up outside the speed. He travelled better than anything to the turn and Avdulla was swinging on him, but when he was popped the question in the straight, he found very little and was most disappointing. IN the last race it looked like quicksand back towards the inside, which may make the win of GEM SONG (1st) even better. 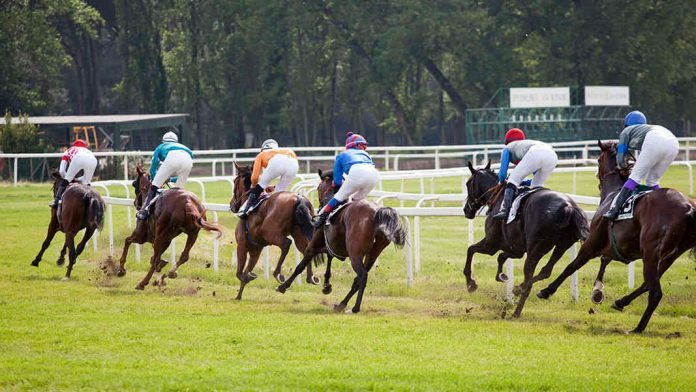 He was resuming off the inside gate and was under pressure when they turned for home back near last, he rallied and ran on hard for a comfortable win along the inside after the leader’s stayed well off the fence. He was all out on the line but that may have been just the first-up condition giving way on him. PURPLE SECTOR (2nd) and CHARGE (3rd) ran on ok but had their chances out in the best part of the track. The winner was impressive, the favourite very disappointing. Race 5: INGLIS Sprint 3YO 1100m. It looked a two-horse war on paper in Inglis feature for 3YO’s, ESTIJAAB (2nd) was resuming as a 3YO after winning the Golden Slipper last start. He didn’t begin the best but showed great natural speed after the long lay-off, led to the turn and kicked into the straight, coming to the middle of the track as they had been doing all day. He was wayward in the straight when he was tiring but was so brave in defeat off the long break. FIESTA (1st) was the equal favourite with the champion juvenile of last year, an absolute peach of a ride from Schofield showed why this horse is set to be a star. She slotted in three-wide with the trail, eased to the outside and when she got clear galloping room and balanced up, she finished powerfully to down her co-favourite. So strong through the line in a breathtaking first-up win. There were 2.3 lengths back to third, MIZZY (3rd) hitting the line ok but none but the first two across the line every looked like winning the race, follow them both through the Autumn. Race 6: Breeders Classic Mares 1200m. Notes: Four horse sin the betting at $5 and under and they were the first four across the line. CHAMPAGNE CUDDLES (1st) was the 6/4 favourite and got the job done, but everything went right for her. She had the sit on the leaders, was travelling well at the top of the straight when easing around them, dashed up and hit the lead and looked as though she would run away. She wanted to switch off however and the leader/runner-up was actually coming back at her again on the line. COOL PASSION (2nd) led and fought off the outside horse and was quickly gobbled up by the winner in the straight, but kept finding and was actually doing better than her through the line. ALASSIO (3rd) sat outside the leader but was beaten off early in the straight, EGYPTIAN SYMBOL (unplaced) was the other runner in the market, she sat back near last and wide, she hit the line well where the three placegeters were all up on the speed. Race 7: Inglis Millenium 2YO 1200m. Notes: A $2M restricted 2YO race in the summer in Sydney, just what the breeders need! ACCESSION (2nd) and DAWN PASSAGE (3rd) were all the rage in the betting, 20/1 was available for the next closest in the market to them. But an upset was brewing and it took a very smart horse with a big engine to do it. CASTELVECCHIO (1st) was that horse, he was coming off a debut maiden win at Canterbury where he was huge odds and stormed home to win, a similar pattern today as he dropped out to last, came the widest and finished way too good for a huge win. ACCESSION (2nd) jumped well but drifted back near last and was wide, he came with a run at the turn and hit he front in the straight before being overhauled by the smart winner. DAWN PASSAGE (3rd) was inside him in the run, also well back, he was shuffled back when the runs came and ACCESSION (2nd) got around him. He found the line well enough but never looked the winner. Notes: there didn’t look a lot between a few of them on paper and the betting suggested the same. SAMADOUBT (1st) was mapped as the leader and when he jumped well, he had no problem in finding that spot. Rachel King set an even tempo on him, he came wide in the straight as they had been all day and kicked three lengths clear. He never looked in any danger and although the runner-up was taking ground late, the win was sealed early in the straight. NEW UNIVERSE (2nd) had a charmed run mid-field on the rails, he improved saving ground on the turn before angling three-wide at the top of the straight. He looked as though he would challenge the leader soon after but the leader kicked, NEW UNIVERSE (2nd) clearly doing the best late to ge the margin to a length, but he was never going to win. GRESHAM (3rd) had every chance after having the sit on the leader but was very one-paced in the chase home, TANGLED (unplaced) started close to favourite but never got warm. Race 9: BM78 Handicap 1600m. Notes: It was a very open race to finish the card but he winner CISCO BAY (1st) was clearly the best backed with each-way odds the field on offer. The Wyong trained galloper settled back in the field, they were going at a good clip up front in the big field with the three placegetters settling in the last four in the run. CISCO BAY (1st) was the first to go, making a long-sustained run from the 700m mark. He got very wide in the straight but once he was balanced up it was clear that he was the one finishing best. ANIMALIA (2nd) and LOOKS LIKE ELVIS (3rd) tracked him up in the run after being near last, they both hit the line well but were always running for the minor placings. HIGH LOW BET (unplaced) hit the lead in the straight after cutting the corner but still well off the fence, she was no match late. The in-form Robbie Dolan gets it done again with no weight in his back, not sure whether this will be a good form reference going forward or not as the speed was a cracker and set the race up for the swoopers.